Lots of bags claim to offer plenty of interior organization, but none let you adjust it to fit your particular set of gear. Until now. Cocoon Bags ($40-$130) feature an innovative Grid-It organization system inside, which use a unique weave of rubberized elastic bands to offer nearly endless configuration. 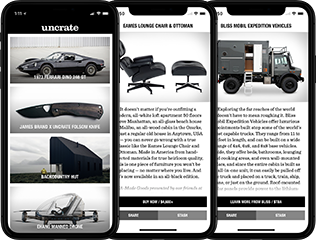 With a variety of sizes, styles, and colors available, you're sure to find one that suits your needs. 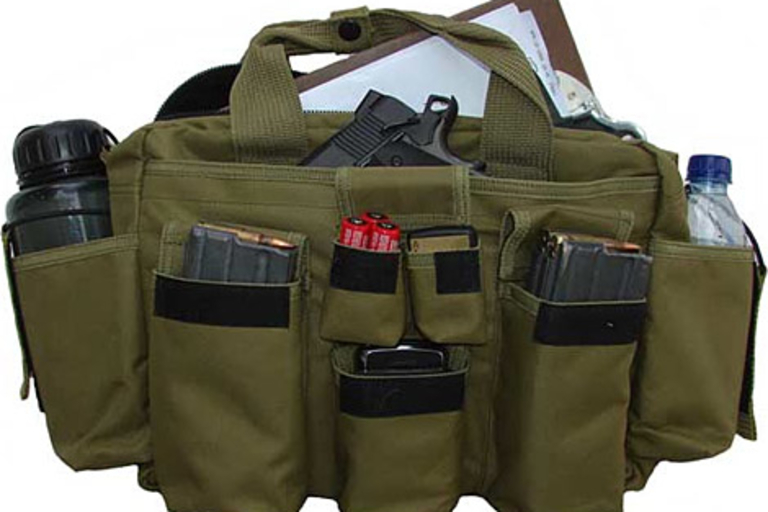 Originally created to be the ultimate bag for the the LAPD and the U.S. military, the 5th generation Tactical Bail Out Gear Bag ($20) is a do-it-all bag that's both rugged and attractive (and cheap). At home on the battlefield and in the office, the Bail Out has YKK brand zippers, Velcro closures, a removable padded shoulder strap, and polyester lining to protect items from harm. Great for use as a gadget pack or a diaper bag, the large main pocket has a removable stiffener, and the zippered side pocket is designed for secure storage of your wallet, passport, keys, radio, and other valuable items. 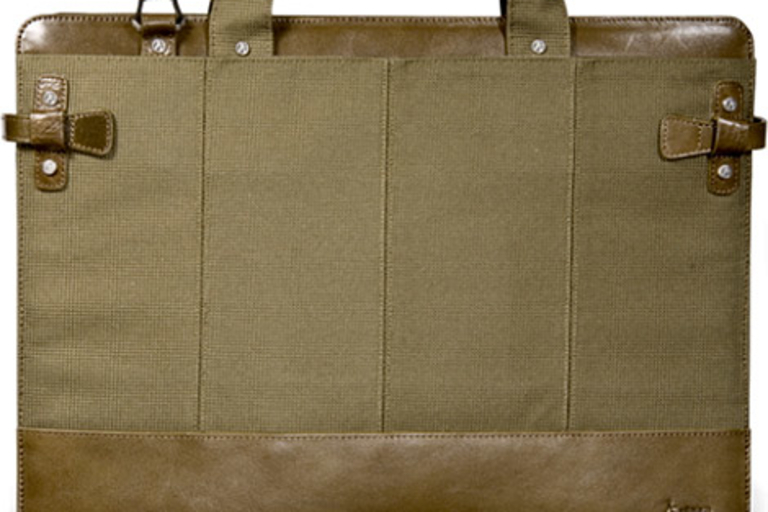 Staying true to its tactical roots, the bag comes in black, desert tan, and our recommendation: olive drab. 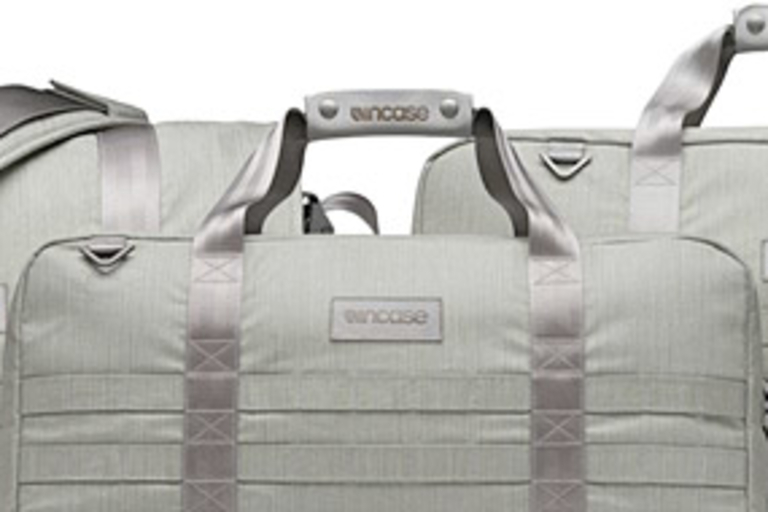 As this Uncrate editor can attest, there are too few diaper bags geared for Dads. Most come in pink or paisley and feature long, purse-length straps, making for a difficult pairing with your T-shirt and boots. 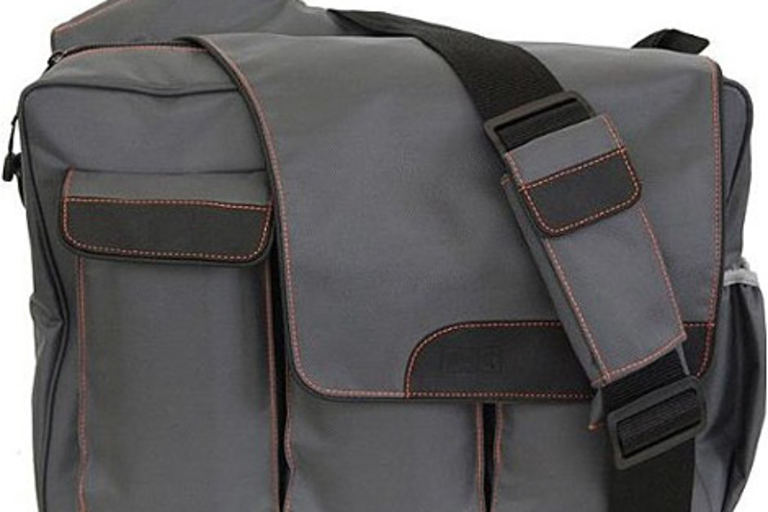 Reclaim your manhood with the Diaper Dude Grey Messenger II ($100). 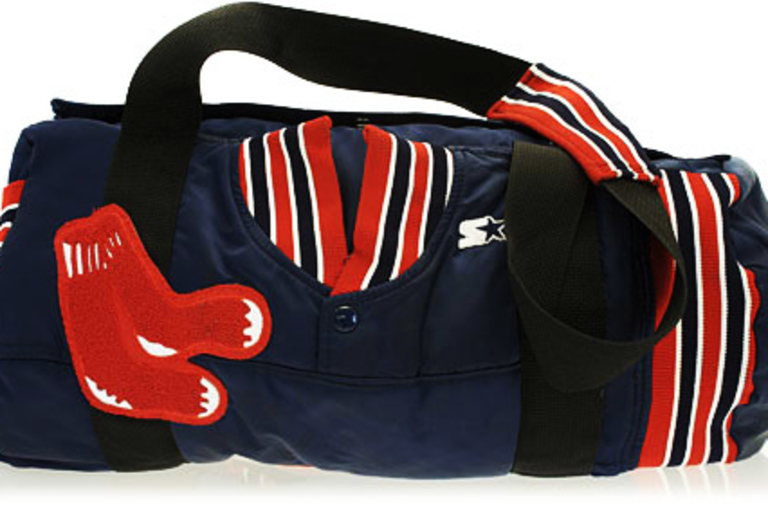 This messenger-style bag is made of durable polyester fabric, has a padded shoulder strap, a large compartment for baby stuff, and an additional internal pocket for Dad. Is that a cell phone pocket or a built-in insulated bottle holder? Only you will know. With a mixture of high-tech textiles and simplistic modern styling, the new Incase EO Collection has something for everyone. Made from Schoeller Switzerland's eco-friendly, water-resistant NanoSpere fabric, the bags are both versatile and utilitarian. 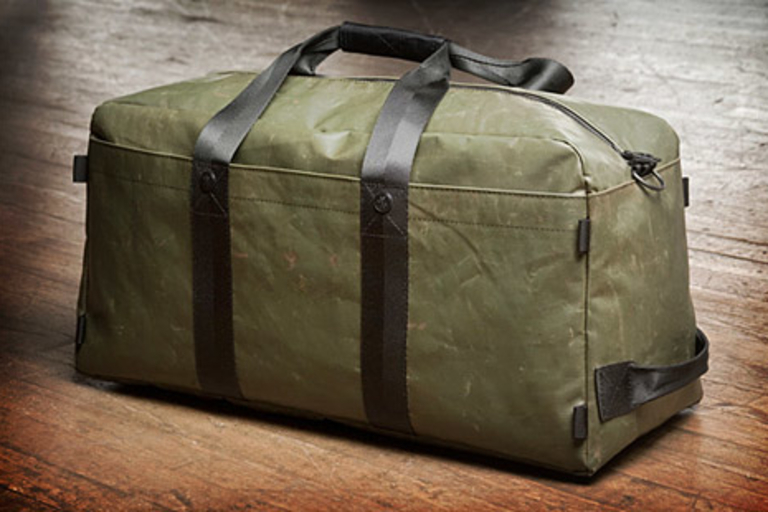 The Messenger Bag ($190), Duffel Bag ($235), and Overnite Bag ($300) all feature a 4-in-1 satin weave interior finished with NanoSphere tech, and horizontal outer belts which allow for modular expansion with Accessory Pouches ($80). 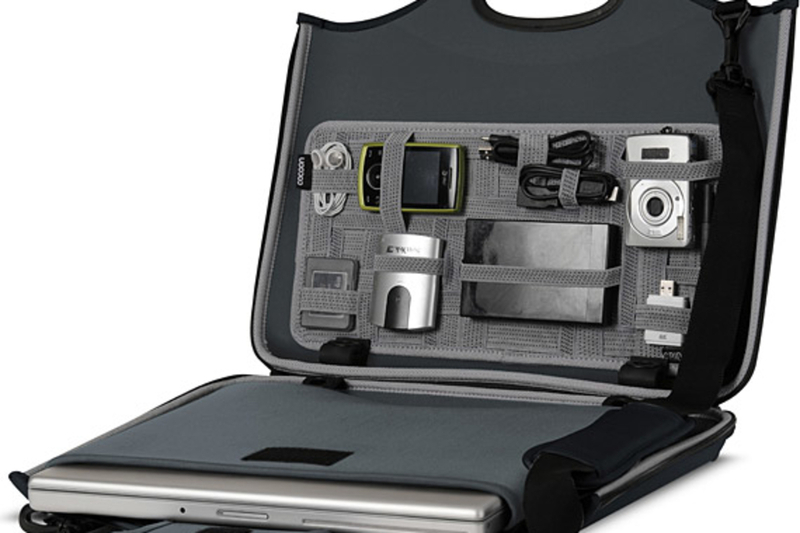 Add in a 15-inch Laptop Sleeve ($80), and you're covered.